Simple but often overlooked. 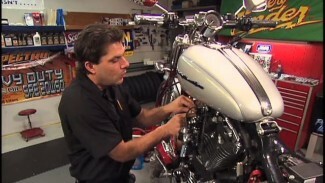 Check operation of electrical equipment and switches before you start to service your Harley Milwaukee Eight. Mike Roen walks you through these easy steps as required by your manual’s checklist. We know it sounds simple and it is. The reason you want to do this before service and every ride is to make sure everything is working. 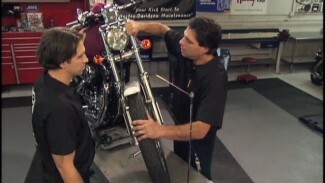 When you service your motorcycle you start to touch several areas of the motorcycle. If you know all your systems functioned before you started wrenching and something does not work when you are done, you can backtrack your steps to find what you might have unplugged or disturbed. Brake and Taillight(s): All filaments work; both levers actuate brake light. Lenses: Clean; no condensation; tight. Battery: Fluid level; terminals clean and tight; held down securely; vent tube not kinked or misrouted. Wiring: Check for pinching or fraying; properly routed; no corrosion.